Translators are presumed to be experts in the grammar of their target language and the terminology of the field they are dealing with. But what about those cases where they have to make a judgement call, where the rules of the target language are either imprecise or seem inappropriate for a given scenario? Nigel Wheatley originally trained as a chemist and has researched and taught at several European universities. He was also a schoolteacher in France and literary agent in Spain before returning to his native United Kingdom and starting Vis Verborum, specialising in the translation of medical and pharmaceutical texts from French, Spanish and Catalan into English: he now splits his time between the UK and Prague. 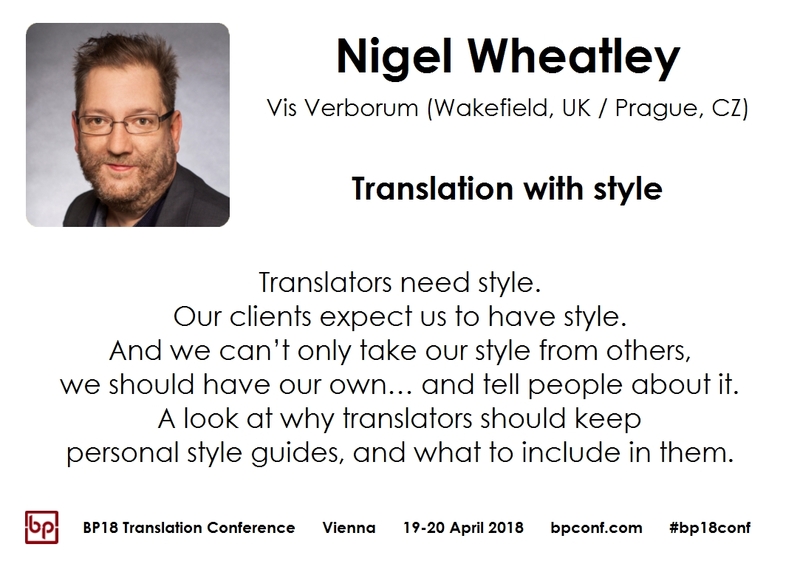 He is interested in questions of quality assessment and quality assurance in translation, and the tools available to individual translators to improve their work and their services.